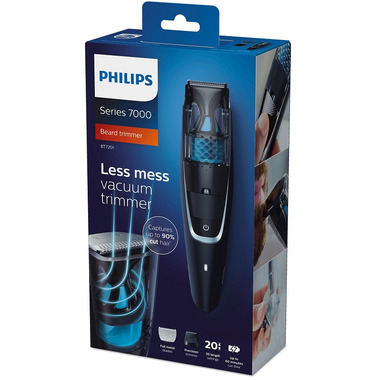 With the Philips Beardtrimmer series 7000 Vacuum Beard Trimmer you can trim your beard, mustache and sideburns while keeping tidy. 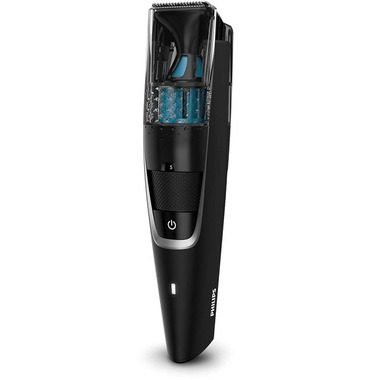 The powerful vacuum catches cut hair as you go, giving you a mess-free trim. 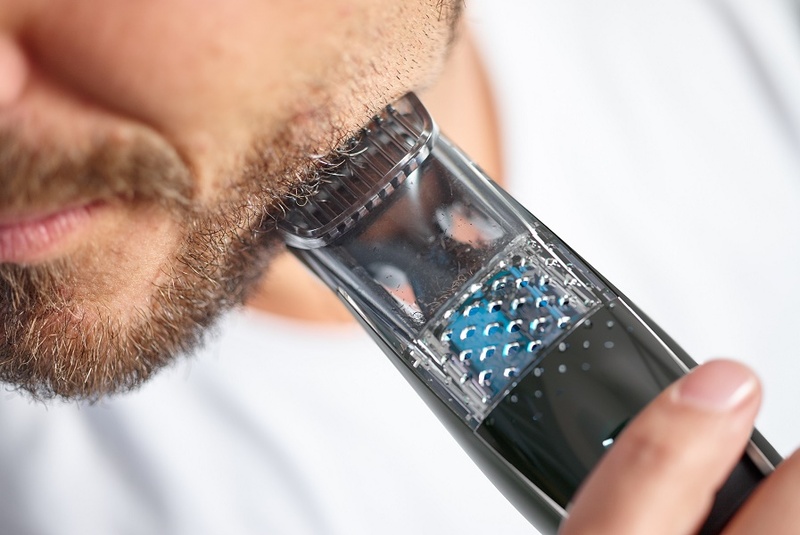 Trim your stubble in one quick stroke. 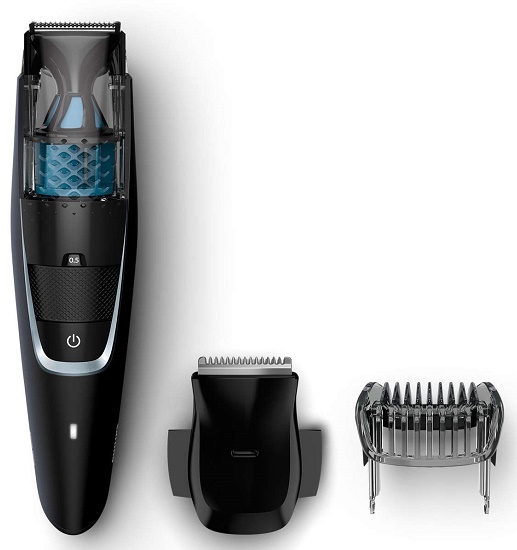 The innovative lift and trim system raises hairs then guides them to the double-sharpened stainless steel blades. Strong steel blades are double-sharpened and made to last a very long time to cut through even thick hair. They sharpen themselves by lightly brushing against each other as you trim. Select your preferred trim length by simply turning the zoom wheel on the handle until the length you want is displayed.